Notice2: Unranked means that, in LOL profile window, "Ranked" area shows no any rank. This account Leveled by Hand, NO BAN RISK! This account are in stock and available for purchase. Please check the account information in the title. Please check the following information after delivery. If any information incorrect, please contact haidi1408 A.S.A.P! Please change the account information immediately after you got the correct account. How to change account information? Change account binding email to your own email. What game account information do I receive? If desired, you may request other information from the seller. However, as any other information not mentioned above is unnecessary to complete a secure game account ownership transfer, it is only optional for the seller to provide. Does the seller send the game account information to me directly? No. After you purchase the game account, we will update the seller and instruct him/her to provide the game account information securely to PlayerAuctions. We will then quickly and discreetly inspect and document select properties of the game account before passing on the game account information to you. Once you receive the game account information, you will be given time to complete the verification of the game account, finalize the game account ownership transfer, and confirm the delivery of the game account to PlayerAuctions. How and When will I get my game account? For Game Account transactions, the Seller will send the Game Account’s information to PlayerAuctions for verification purposes. If there are no issues, PlayerAuctions will then deliver the account login details to the buyer via email within 24 hours (but usually this happens much faster. What if the delivered game account does not match the seller’s description in their For Sale Offer? If a game account is ever not described properly by the seller, you may choose to keep it and negotiate with the seller for a lower price through our Dispute Resolution System, or you may return the undamaged game account for a hassle-free and guaranteed refund from PlayerAuctions. How am I fully protected from the seller ever reclaiming my purchased game account? 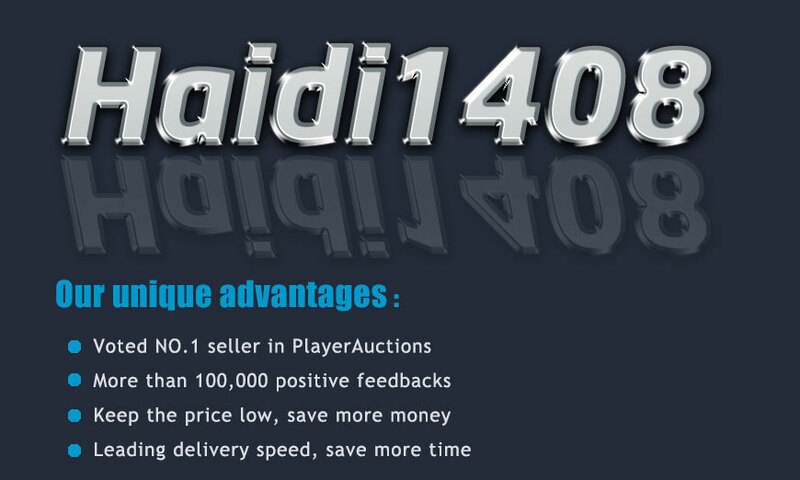 All game accounts purchased by Verified members and above through PlayerAuctions are guaranteed after sale support. For those members wishing for extra security for their purchased accounts, PlayerAuctions offers insurance packages which are protect against the rare event of your purchased game account ever being irrecoverably reclaimed or suspended due to the previous owner. If this occurs and PlayerAuctions is unable to completely restore your access to the undamaged game account, PlayerAuctions will award you with PlayerAuctions Market Credit equal to the specific insurance package price, usable toward any purchases of any products offered for sale at PlayerAuctions. Learn more about safe game account-trading at PlayerAuctions.